Roberto Dutesco is an internationally acclaimed artist, photographer, filmmaker, poet and explorer. His work spans over 35 years and over 75 countries. Works from his 25-year journey to capture the beauty and undisturbed freedom of the Wild Horses of Sable Island® have been shown in exhibitions in the United States, Japan, France, Switzerland, Singapore , Korea, Canada and Brazil. Driven by the belief that art and beauty transforms how people think about conservation, Roberto's efforts, his work, talks and charitable activities along with the Chasing Wild Horses documentary were instrumental in driving international awareness of Sable Island and securing official protection for its wild horses. ROBERTO DUTESCO IS A CANADIAN ARTIST. Romanian born, he studied photography in Montreal, where he moved as a teenager. 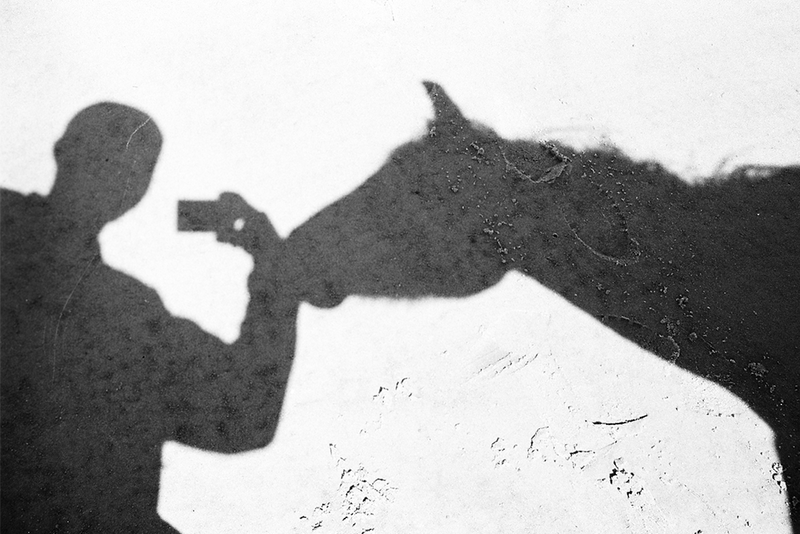 Dutesco soon became a sought-after fashion photographer. With the spirit of a globe-trotter, he photographed prominent personalities of our times, such as Pierre Trudeau, the Dalai Lama, and Mikhail Gorbachev. Since the early nineties, he has devoted much of his time to photography, poetry and film. 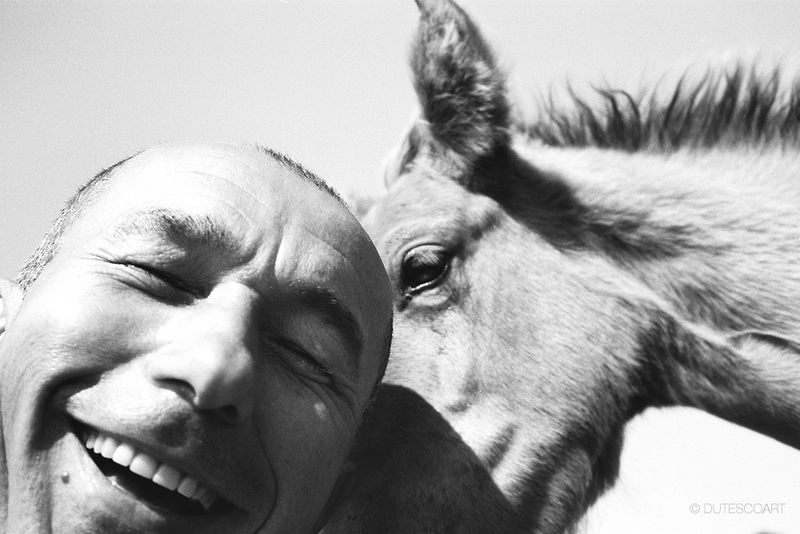 Dutesco has now completed several projects: The Wild Horses of Sable Island, The American Sandscape, Rocks & Things, Flowers & Dreams, Brîncusi: The Endless Column, The Human Landscape, Waters, East/West Travels of the 14th Dalai Lama and the poetry books Ethereal Reflections and Alphabetical Mayhem. His travels have taken him through more than sixty countries and left him with a fascination and an extraordinary documentation of this One World that we all share. His short films, Times Squared and Sable Horses, have been screened and favorably reviewed in several film festivals across the U.S. and led to the multiple-award-winning feature-length documentary Chasing Wild Horses, a CBC/Arcadia Production. 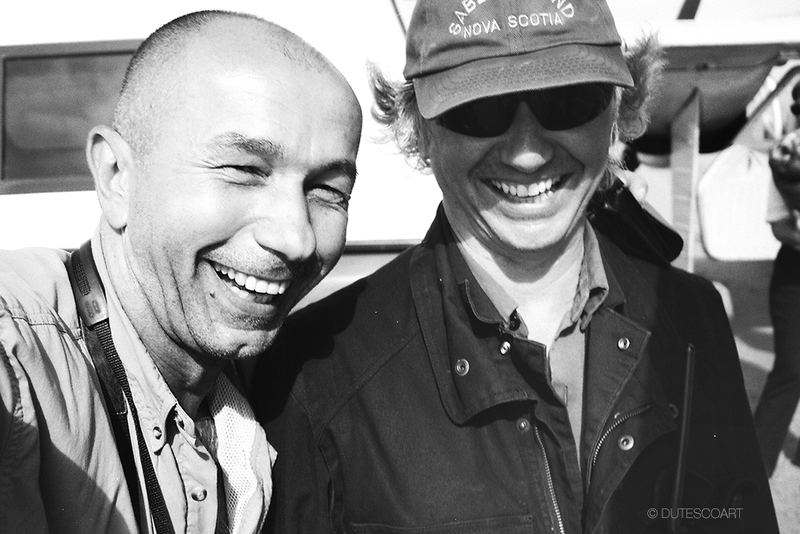 The Sable Island Journey has been Dutesco’s main focus and dedication since 1994. His efforts to document and showcase The Wild Horses of Sable Island have played favorably in the conservation and protection of Sable Island. His SoHo gallery (est. 2006), presenting this documentation of Sable Island and it’s band of Wild Horses, was chosen as one of fifty must-visit places in New York City by Art Architecture Design Guide, teNeues, 2010. The Wild Horses of Sable Island Gallery is the longest running show in NYC by subject. In 2016 Mr. Dutesco hosted The Romanian Prime Minister Dacian Cioloș, Princess Marina Sturdza and Ambassador George Maior, to celebrate the Wisdom of the Earth sculpture by Constantin Brâncuși at The Wild Horses of Sable Island gallery in NYC. 1967 Takes first photograph at age 6 (portrait of his family). 1974–76 Attends National School of Arts in Bucharest where he studies painting, sculpture and drawing. 1980 Moves from Romania to Ottawa, Canada. 1981 Moves from Ottawa to Montreal, Canada. 1982 Buys first Nikon camera and begins to photograph elements of nature, flowers, trees, rocks and streams. 1982 Sells his first photograph of a flower for $5.00. 1984–86 Attends The Dawson Institute of Photography in Montreal. 1987 Opens photo studio in Montreal. 1990 Photographs Mikhail Gorbachev and Pierre Trudeau. 1992 Opens large photo studio in Midtown Manhattan and continues to work in fashion and art photography. 1992 October. Breakout campaign for “Request Jeans” brings Dutesco to the forefront of the fashion industry. 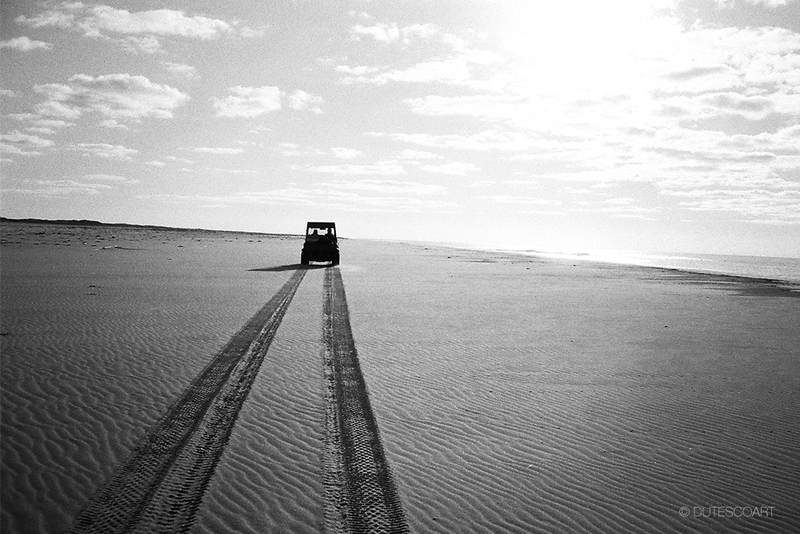 1994 An indelible vision leads Dutesco to Sable Island, where his photographic odyssey begins. 1994–97 Dutesco works intensely in New York City, producing artistic and abstract images, experimenting with new production techniques and presentation methods. Much of his time is now dedicated to the Wild Horses of Sable Island. 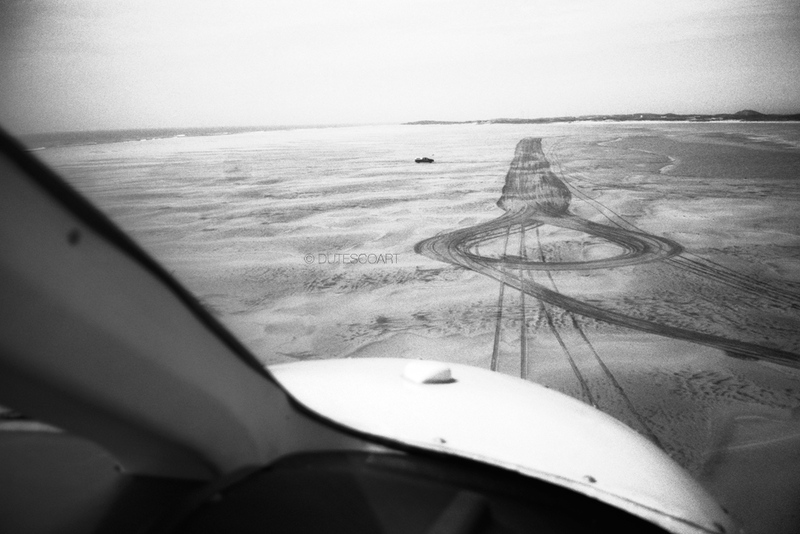 1997 Dutesco returns to Sable Island for a second time and becomes completely immersed in this subject. 1998 Travels to over forty countries on a photographic “vision quest” capturing and collecting thousands of images from around the globe. 2000 Completes the 16-mm black-and-white short film Sable Horses, which later inspires a feature documentary for Bravo. 2001 Completes the film Times Squared, a photo diary of his travels to over fifty countries. 2002 Exhibits a one-man show entitled Sable Horses, Sand Dunes and Rocks & Things at the National Arts Club. 2002 Sony displays The Wild Horses of Sable Island along Madison Avenue at their headquarters in New York and in Chicago. 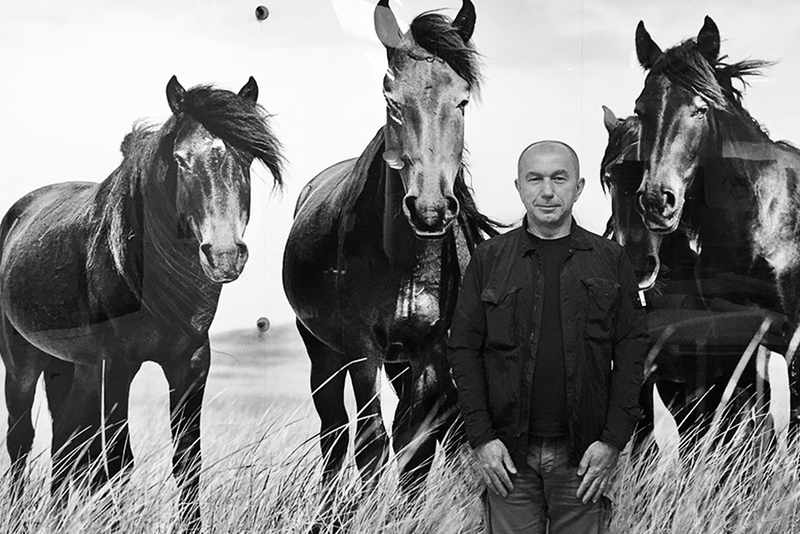 2003 The United Nations exhibits Dutesco’s photographs of Wild Horses in a show entitled A World Without Borders. 2004 Dutesco stages an outdoor exhibition in downtown Montreal showcasing over three hundred photographs in Here Is Now and Water World. This public exhibition consumes four city blocks. 2005 Dutesco returns to Romania and on July 6th continuously photographs The Endless Column by Brîncusi for twenty-four hours. 2005 World Expo in Japan: Dutesco displays eight-by-twelve-foot, multi-paneled murals of The Sable Horses at the United States Pavilion. 2005 Dutesco meets curator Peter Tunney. Together they plan an exhibition of The Wild Horses of Sable Island in SoHo, New York City. 2006 Spring. Dutesco exhibits Homage to Brîncusi, featuring over 250 photographs of The Endless Column, taken the previous year in Romania. 2006 Summer. Preparation and construction begins at 13 Crosby Street, SoHo, New York City, for a one-man show, The Wild Horses of Sable Island. 2006 The Wild Horses of Sable Island opens to a mesmerized crowd of over three thousand people at 13 Crosby Street. The exhibition features over 125 large-scale photographs. 2007 Surfing Sable Island, a show in collaboration with Scott MacDonough, features thirteen unique surfboards that are produced and exhibited at 13 Crosby Street using Dutesco’s photographs of the Wild Horses. A book of the sam e title is also produced. 2007 Dutesco creates a photographic installation for the Fifth Avenue windows of Lord & Taylor. 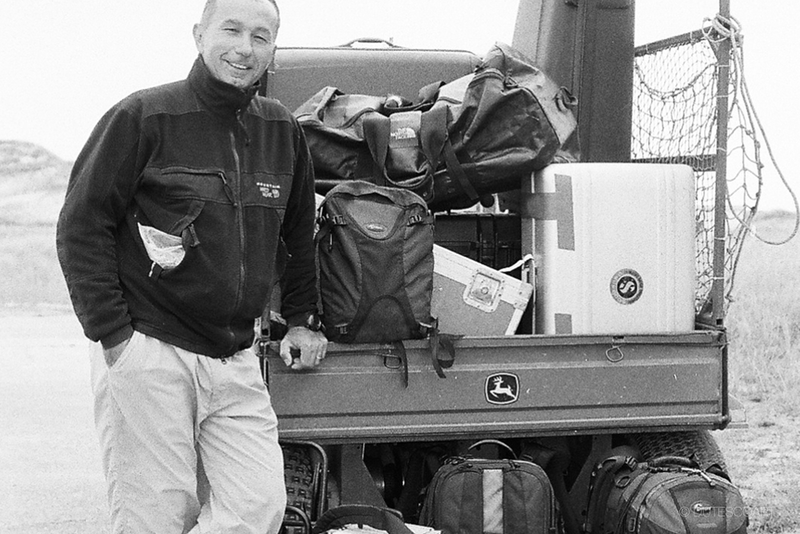 2007 Dutesco, Tunney and Arcadia crew arrive on Sable Island and begin principle photography for a feature documentary entitled Chasing Wild Horses, to be aired on Bravo. 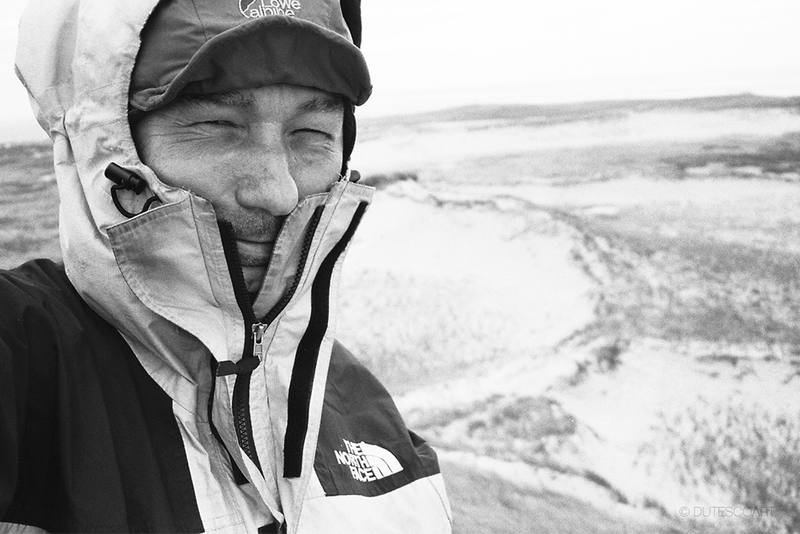 2007 Dutesco makes three successive trips to Sable Island with his film crew and completes filming for Chasing Wild Horses. 2008 The National Arts Club, New York City, screens the premiere of the documentary Chasing Wild Horses in the United States. 2008 The Wild Horses of Sable Island photographs are shown on Madison Avenue in the windows of The Ralph Lauren Mansion and featured in the design section of the famed store. 2008 The Riverhouse, New York City. Manhattan’s first green, model residence, designed by Thom Felicia, showcases works by Roberto Dutesco. 2008 Summer. The Wild Horses of Sable Island is shown in the Ralph Lauren windows in East Hampton, New York. 2008 Summer. LongHouse Reserve, East Hampton, New York. Mega-size photographs of Dutesco’s Wild Horses, up to forty feet in length, are installed outdoors in the gardens along with sculptures by Sol LeWitt, Willem de Kooning and Buckminster Fuller. 2009 Ethereal Reflections installation: selected poems and flower photoworks for the windows of Lord & Taylor, Fifth Avenue, New York City. A book of the same title is also produced. 2009 Autumn. Sable Island Mobile Project begins (www.wildhorsesofsableisland.com). 2009 Performance by Jennifer Muller’s New York dance company, The Works, inspired by The Wild Horses of Sable Island. 2010 The Wild Horses of Sable Island Gallery featured in Art Architecture Design Guide, teNeues. 2010 We Are Beauty, Amsterdam Project. Collaboration with Ivan Tse. 2010 Autumn. Returns to Sable Island. Films extended interview with Zoe Lucas. 2011 Spring. Opening, Past to Present, an exhibition of photographs from Dutesco’s most recent trip to Sable Island. 2011 Autumn. Opening of The Embassy of Canada’s Gallery exhibit, Wild Horses of Sable Island, featuring oversize and extensively annotated photoworks, Washington, DC. 2011–12 Completion of Alphabetical Mayhem, twenty-six word-works. 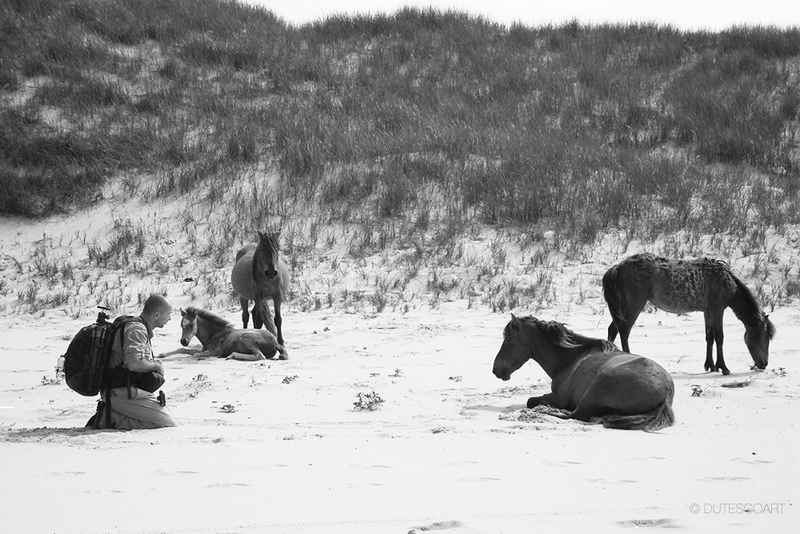 2012–13 The Wild Horses of Sable Island installation: photography exhibition for the Jiva Hill, Crozet, France. 2013 The Wild Horses of Sable Island installation: photography exhibition for the American Gold Cup, North Salem, New York. 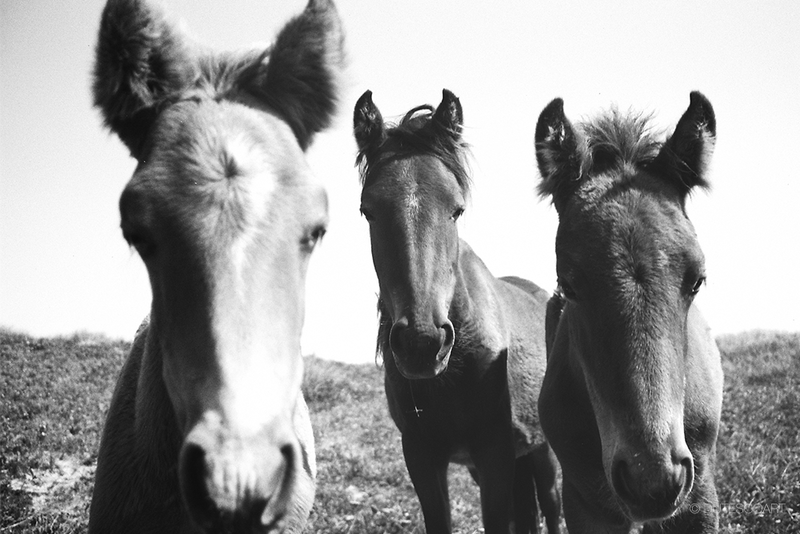 2013 The Wild Horses of Sable Island installation: photography exhibition for the Equita’ Lyon, Lyon, France. 2013 The Wild Horses of Sable Island installation: photography exhibition for the Melbourne Cup, Melbourne, Australia. 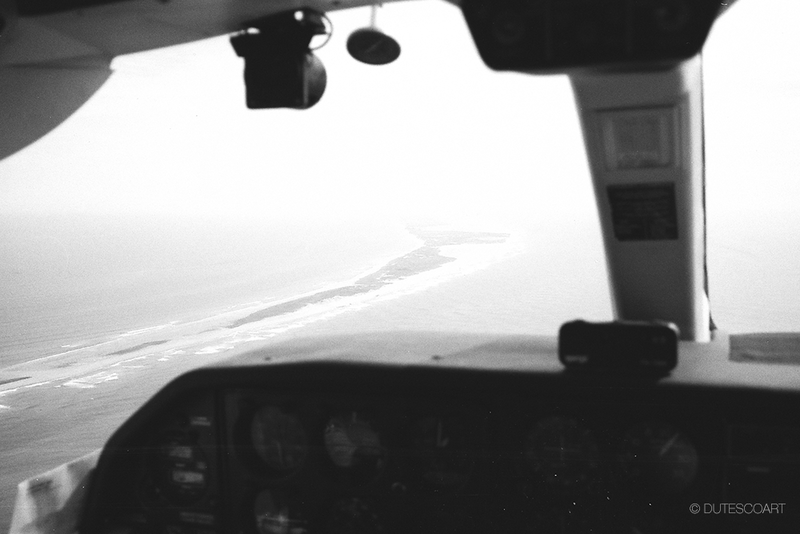 2013 Dutesco travels to Sable Island for his eighth photographic and film documentation. 2014 The Wild Horses of Sable Island installation: photography exhibition for the AAFHK, Hong Kong, China. 2015 The Wild Horses of Sable Island opens its first museum show at the Nova Scotia Museum of Natural History, Halifax, Canada. 2015 The Wild Horses of Sable Island opens at Museum at Prairiefire, Overland Park, Kansas. 2016 WHSI gallery -The 2016 Alex Fund Benefit Screening of Palme D'Or Award-winning director Cristian Mungiu's GRADUATION ("Bacalaureat"). 2017 4th- print edition of The Wild Horses of Sable Island by teNeues.